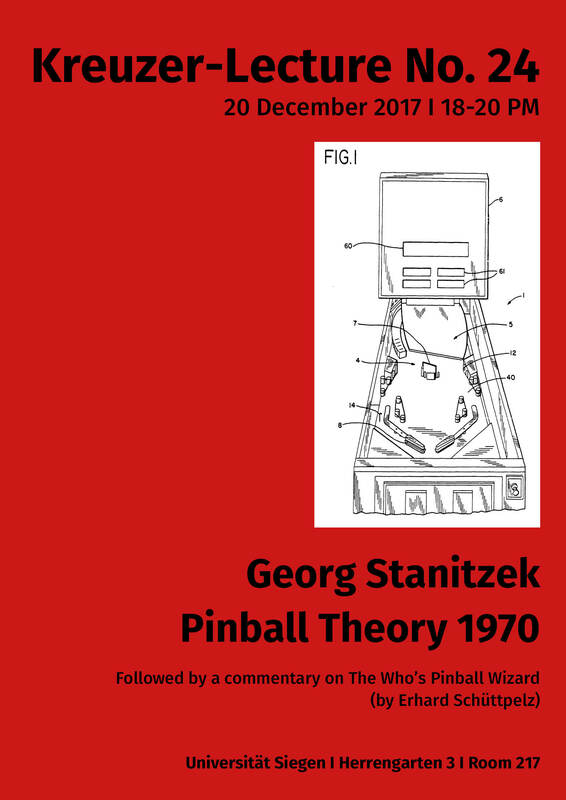 In global pop culture, pinball playing peaks in 1969 and the following years. Members of the Cologne artist scene based around the journal Interfunktionen – among others Benjamin Buchloh, Friedrich Wolfram Heubach, Candida Höfer, Michael Oppitz – play pinball, like everyone else, but also work on a critical theory of the game, drawing particularly on Roland Barthes’s Mythologies. The reconstruction of this critical activity, up until its ultimate failure, yields an illuminating case study of the animated interaction between theory, art, pop culture, and protest movement in the sixties and seventies.